Queenstown: the Adventure Capital of New Zealand. With that title comes an overwhelming amount of activities from bungy jumping to skydiving to skiing to jet boating and countless others. 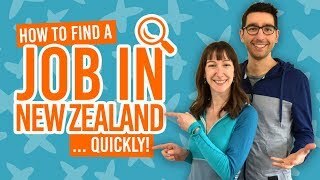 But what are the Queenstown must-dos? To help you whittle down the options of Queenstown offerings, we have complied this list of must do activities in Queenstown. 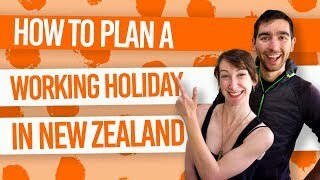 Of course, not everyone wants to do a bungy jump or go on a multi-day hike, so we’ve tried to add a range of activities to suit all types of backpacker to the mildly adventurous to the full-on insane. 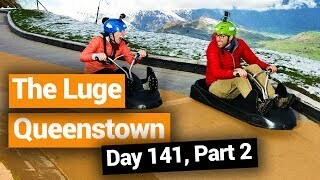 As you may notice, Queenstown’s activities are not exactly the cheapest, but once you have picked out your once-in-lifetime activity in Queenstown, fill up the rest of your time doing these 15 Free or Cheap Things to do in Queenstown. 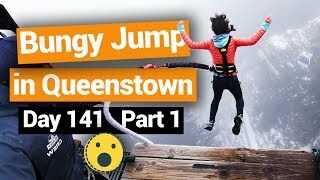 If you’re going to bungy jump in New Zealand, Queenstown is arguably the place to do it. Choose from the world’s very first commercial bungy jumping site at the Kawarau Bridge Bungy, New Zealand highest bungy jump at 134m Nevis Bungy, and a bungy jump strapped around your waist for freestyling with a view of Queenstown on the Ledge Bungy. For more information about bungy jumping, check out 7 Epic Places to Bungy Jump in New Zealand. 2. Have a night out! Not only is Queenstown the adrenaline capital of New Zealand, but it is also known as the party capital. From sophisticated sessions at a craft beer bar to dancing on the tables, you can find all sorts of vibes and night out experiences in Queenstown. 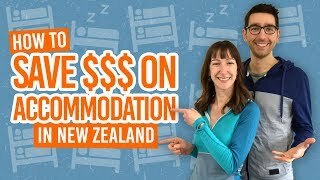 If you’re only going to go out once in New Zealand, it has to be in Queenstown! Check out the best party spots in our Guide to Queenstown Nightlife. Freefall then swing through a canyon: it’ll make you pee your pants! There are two swinging options in Queenstown: the Nevis Swing which is great for tandem, or the Canyon Swing which gives you heaps of ways to make the swing from sliding to having your head stuck in a barrel. The Shotover Jet is like no other boat you have been on before (unless, well, you have already been on a jet boat). Only sitting mere centimetres under the water, the boat glides at high speed and is capable of doing 360-degree spins! Throw narrow canyon walls in the mix and you have an adrenaline ride of near-misses and close calls. If fast-paced thrills is your thing then Queenstown is a must for jet boating. For alternative experiences around New Zealand, check out 7 Places to Jet Boat in New Zealand. The adrenaline thrills are only maximised in the winter/spring in Queenstown when the ski fields open. The two closest ski fields to Queenstown are Coronet Peak and The Remarkables. Although Coronet Peak offers unique night skiing in New Zealand, The Remarkables provides a true mountain experience with generally better conditions for skiing and snowboarding in the Queenstown area. Mixed with the nightlife and events like the Queenstown Winter Festival, you can find a more all-round ski experience in Queenstown. For more places to get your ski on in New Zealand check out the The 24 Ski Fields in New Zealand. The must-do hike in the immediate Queenstown area is the hike up one of Queenstown’s highest peaks, Ben Lomond (1748m). The all-day experience provides some of the bet views in the area. Be prepared as it is quite a demanding hike taking about 4-6 hours return from the bottom of the Gondola. We recommend hiking between November and April when there is less likely to be snow and ice above the treeline. What’s more, it’s free! Location: Either hike from the Tiki Trail starting at the top of Brecon Street or take the gondola and start the short loop track around Bob’s Peak where you will find the trail to Ben Lomond along the way. To spice it up on the way back to Queenstown, take the One Mile Creek Track found part way down the Tiki Trail. 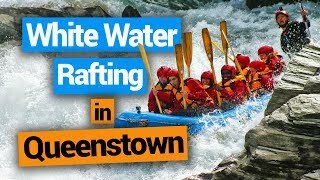 There are many awesome places to white water raft in New Zealand but white water rafting on the Shotover River with Queenstown Rafting is certainly a high contender. Even the journey there on the Skippers Road, considered to be one of the world’s most dangerous roads, is a thrill in itself. Ride the rapids on this grade 3-5 river (grades depend on the water level and can be seasonal) and float through a 170m long tunnel! For more epic white water rafting experiences, check out 7 Places to go White Water Rafting in New Zealand. Queenstown has a sweet set-up for downhill mountain biking at the Gondola. Choose from multiple trails of varying difficulties to ride down time and time again. With plenty of mountain bike hire stores in town and the Gondola to transport you and your bike up to Bob’s Peak, all that’s left is endless downhill fun! If you really dig mountain biking, then check out The Best Mountain Biking Regions in New Zealand. For those who are not self-driven, Queenstown is an ideal base to tackle one of the Great Walks in the Fiordland National Park. Many transport operators are based in Queenstown taking you to hikes such as the Routeburn Track, Milford Track and the Kepler Track. Take a look at 5 Incredible Multi-day Hikes in the Fiordland National Park for more inspiration. Check out The 9 Great Walks of New Zealand for more information. We can’t go without mentioning the deep-fried kiwifruit at Erik’s Fish & Chips – it’s a must try! We list more cheap eats in our Cheap Eats in Queenstown.